This term we will be doing our SATs. 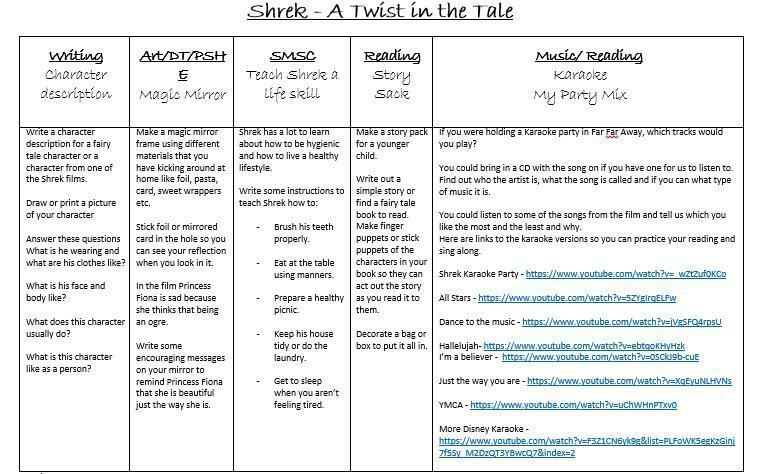 The children are not required to complete the usual topic based homework this term but here are the activities for anyone who would like to have a go at some of the projects. Our topic this term is The Great Fire of London. Below you will find a grid full of exciting homework tasks to chose from over the term linked to different curriculum subjects. Remember you can come up with your own ideas too! We ask that you complete at least one of the tasks on the grid by the end of the term. When you have completed it bring it in to share with the class. Our topic this term is Shrek . 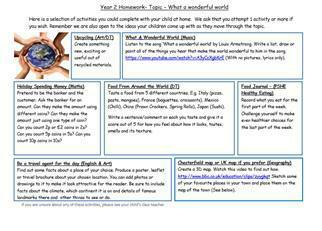 Below you will find a grid full of exciting homework tasks to chose from over the term linked to different curriculum subjects. Remember you can come up with your own ideas too! 28.01.16 - Please be ready to spell these words ready for your Science lesson next week because we are writing about people as they grow up from a baby to an adult. Suggested game for learning spellings this week - Cut up the sheet of spelling words (See below). You will need some clothes pegs or card/plastic counters. 1) Read your 1st spelling word. 2) Say each letter one at a time. 3) As you say it cover it with a counter or peg until the whole word has been covered. 4) See if you can remember all of the letters from the start of the word to the end? If you can't yet, go through the pegs again. If you can go onto card 2. Your child has their maths homework in their book bag. If you need another copy you can download one here. Task 1 - Learn your spellings and come and show your skills on Wednesday. These are all words that we have heard about when learning about adjectives nouns and verbs or words that we asked for in our writing this week. Task 1 - Learn your spellings and come and show your skills on Wednesday. These are words we will be using in our character descriptions over the week. A sheet has been sent home so you can write them as you learn them in different colours. If you need to borrow some pencil crayons to do this task just grab a set from the step. 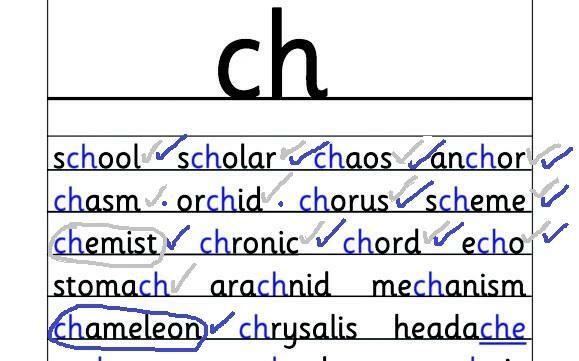 Spelling words this week to use on the sheets that have gone home. Task 1 - have a look at the maths page on the school website and have a go at using your new skills in place value and addition to play the games on there. Your child will be set 1 main homework task each week in addition to reading, going through their phonics work to recap the sounds learnt. Please ensure that your child's phonics folder is in school every day. Please hand in completed homework in the orange box on the trolley by the due date that has been put on the homework. Please ensure that any previous homework is handed in in this week so your child can be give their house points. Children are able to change their school reading book each morning and do this themself within their colour band so they can pursue their own interest. They are free to take a book from the next colour band in addition to their current book if they wish. By the end of year 2 the children need to be able to spell the following common exception words. Words we are learning over the week. In class your child is tested daily on their ability to segment and blend the words in their phonics folder by an adult. They also have the opportunity to practice spellings which is followed by a short test. Each day their blue phonics folder is sent home so your child can share their progress and continue securing what they have been learning about. At school words which have been ticked in pencil are words your child has indicated they can both read and explain the meaning of. Words ticked in pen clarify that your child is able to read them. Some word meanings will be checked but we are unable to check every word for every individual during the phonics session. At home encourage your child to show off their reading ability with the harder words. To boost their spelling further, choose a couple of the words for them to spell and get them to write them on the back of the sheet. Alternatively ask your child to trace the sounds on your back for you to guess or play hangman. At school, words which have been circled indicate words that your child may be able to read but which they still don't know the meaning of. These may be circled by your child or by the teacher/TA. To gain familiarity with these words it would be helpful if children could go through the meaning of these words again at home. Can they say them in a sentence to show they understand the word? At school words with a dot/no tick next to them are words which your child has not yet secured yet during their daily phonics session. It would be beneficial for your child to practice sounding these out at home. Children are able to access both Sumdog and Abacus Activelearn to practice their maths skills using the logins that have been sent home. Children have a login to be able to access the texts (ebooks) we are reading at the moment in class. We are starting something called Spotlight. The children will be able to choose an activity to do that links with our topic ‘Celebrate’. A selection of ideas have been provided below although the children are free to pursue their own ideas linked to celebrations if they choose. We ask that all children complete at least one challenge over the term. They can do more than one challenge if they choose. These will be shared at the end of the day over the remaining weeks. Children will receive house point rewards for their efforts. Please bring spotlight projects in as your child completes them so that they can be shared with the class. We hope that you will find this a valuable opportunity to explore together and to share in your child’s learning. Homework due 16.10.15 is only available on paper and has been handed out in class into your child's book bag.